An interview with Keiichi Sigsawa and Tomori Kusunoki at Anime Expo 2018! 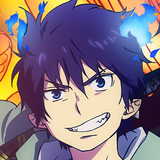 By the time Anime Expo 2018 had come around, the Spring season was just finishing up and Sword Art Online Alternative: Gun Gale Online was delivering its last few twists. 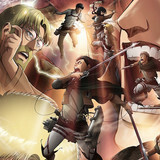 From start to finish the anime was full of surprises right from the beginning, announced as an adaptation of a spin-off light novel penned by the author of the acclaimed Kino's Journey, Keiichi Sigsawa. 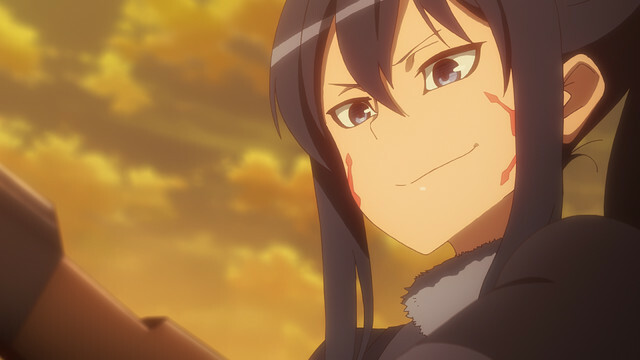 The anime didn't disappoint, delivering an unconventional story of characters taking part in GGO's battle royale with great insights into the culture that might develop around full dive VR and plenty of clever tricks making use of game mechanics from the original work. 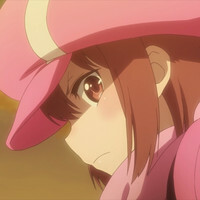 In the lead, voice actress Tomori Kusunoki was given the unique opportunity of playing a triple role in Karen, her GGO character LLENN, and also LLENN's gun P-Chan. I had the pleasure of sitting down with both of them to ask some questions about the production, from its first conception to the difficulties of keeping everyone's double identities straight. Keiichi Sigsawa: When I first read Kawahara-san’s novels, I fell in love and always wanted a chance to write in his world. When I finally got an opportunity to consult on Sword Art Online, I knew it was my chance to pitch to Kawahara-san and he gave me the greenlight. When you were contemplating the story was it the mechanics of the full dive VR that interested you or did you come up with the central relationship of LLENN and Pitohui first? Sigsawa: There are two pillars, one is the game world that I wanted to depict: a world where people could engage in gun fights but no one had to die. The other would actually be the relationship between the two characters Karen and LLENN and the juxtaposition of an individual with a height complex playing a petite character online. You made use of a lot of very minute mechanics and clever details in the fights. Did you start planning out how your own battle royale would go while advising for Sword Art Online? Sigsawa: My biggest inspiration came when I read the Sword Art Online novels. That’s where I got the desire to write in this world and it was the biggest factor for me to come up with these ideas. Not as much from the advisory role. Sword Art Online Alternative seems very unique for its large cast of female characters and emphasis on female friendships, which is even rarer in anime specifically focusing on video games. What lead to your decision to focus on a female cast? 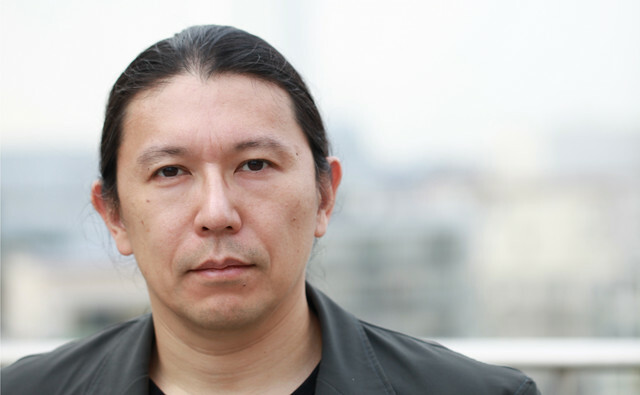 Sigsawa: Within the context of my novels, I tend to often write with a strong female protagonist, so I wouldn’t call it rare for me, although that may be true of other video game related stories. I love writing about strong women, so I’d just describe that as my own true style. 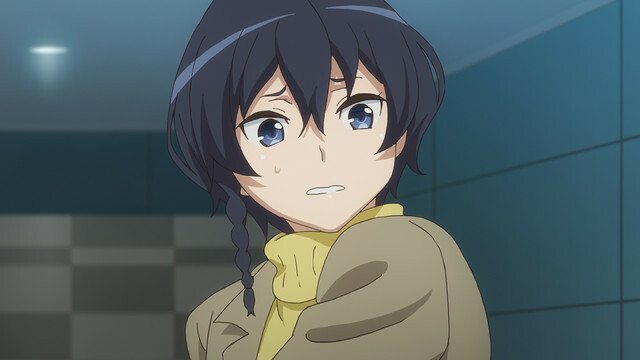 The separate identities of the player and character are very prominent feature in Sword Art Online Alternative. Was this a theme you were intentionally wanting to play within the story? Sigsawa: You could say it was very intentional. 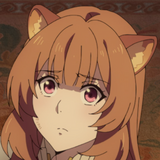 In Kawahara-san’s original Sword Art Online the character’s avatars are very much themselves. For me, I wanted to create a very big gap between the two characters so the audience could enjoy the context. 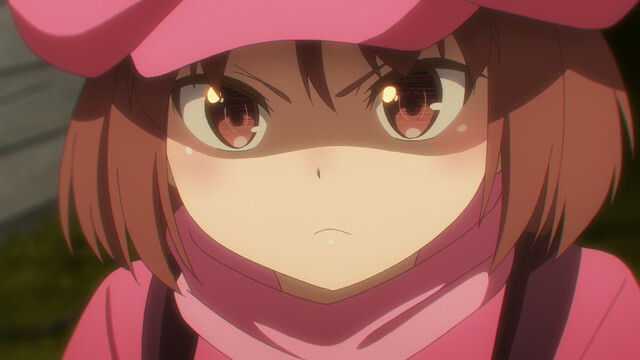 Did you feel as if LLENN and Karen were distinct characters? Tomori Kusunoki: Yes, LLENN was performed with my highest register and Karen with the lowest register that I can produce consistently. P-chan was right in the middle. It was quite a challenge but also quite rewarding. Which did you feel you connected with more closely? Kusunoki: Karen, the one who bottles up her feelings but feels as if she can change herself through her game avatar. Everything about her is something I identify with. Did you do anything special to get into the mindset of a tall person? 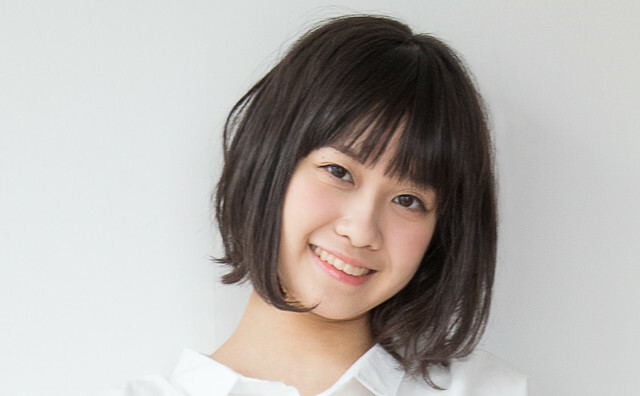 Kusunoki: Once upon a time I had a complex about being petite, so I recalled that time of my life to prepare for the role of Karen, so I would say it wasn’t too challenging to place myself in her shoes. How would you describe the relationship between LLENN and Pito? Sigsawa: I do think that they are complimentary but also embody a big contrast in terms of characters. Pito is someone who would stake her life on something that wasn’t very important, but Karen is a gamer who is much more casual about playing the game. Kusunoki: By the end where they are staking their lives on the fight, things get very complicated. But in the earlier part, Pitohui mentoring LLENN in the game was something that overlaps with my own experience as a voice actress in the studio and learning from my voice acting senpais. That’s something that I very much identified with. What was it like working in a production where each member of the cast was playing dual identities? Kusunoki: Everyone in the cast had their own methods for playing their characters. Each person had their own method and it’s not something we really discussed, but I could tell everyone had their own way by listening to their acting. 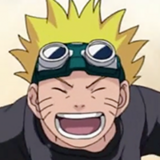 I can say Fukaziroh’s real self and avatar self were very similar so the voice actress played both aspects of her character pretty much the same.